The new painting installations continue Tan's engagement with the materiality of painting, and its dynamics into spatial and sculptural forms. Five pieces of shaped curvilinear paintings on wood will be mounted across the walls, and composed into a multi-layered landscape. In working with wood, the artist also discovers a new form of physical materiality. The wood, its texture and grain, reveals a fresh dialogue between artist and medium - the material is not simply a support, but rather, a sign of the process of mark-making. A second installation radically utilises the exhibition space with its long, scroll-like panoramic presentation of ten paintings, hung in a seemingly endless row. The resulting meditative vista, which requires the viewer to journey with the paintings, alludes to the Chinese hand-scroll paintings that unfurled section by section. How Loneliness Goes is about those of us who abide in the city. 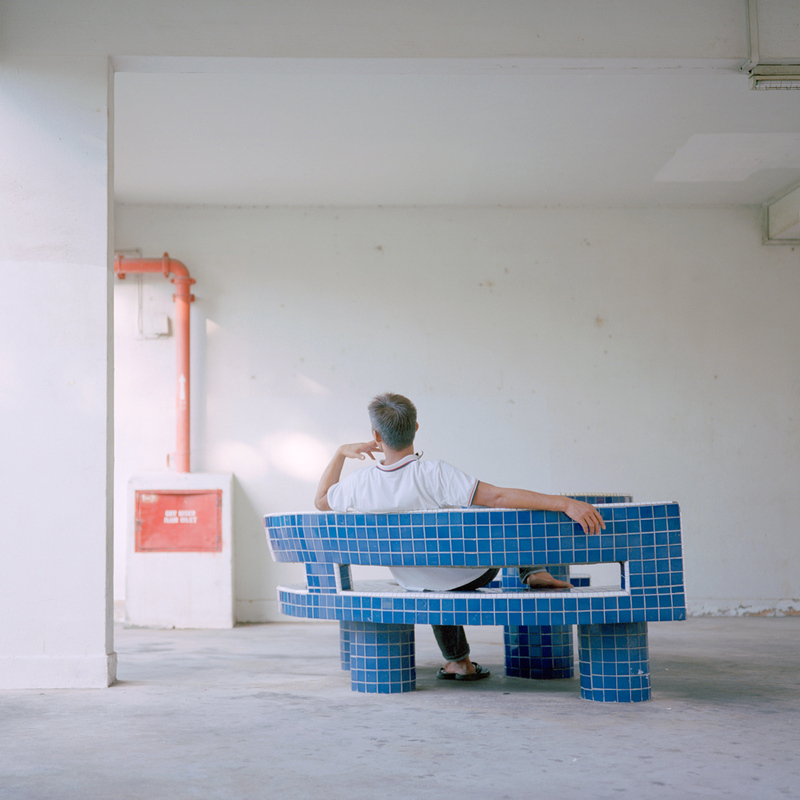 The photographs in the series employ Singapore’s distinct vernacular architecture as both scenery and supporting cast for a lyrical and ambivalent portrayal of urban isolation. Whether they are depicted as being on their own or in the middle of a teeming crowd, the protagonists in the images appear detached and bereft - a part of the living, yet apart from it. The work functions as an allegory for the impossibility of connection in modern life. The pictures also affirm the tenuous margins that divide maturity or worldliness from a sort of brokenness, and melancholy from a kind of peace. How Loneliness Goes was first presented as a highlight of the 2015 M1 Singapore Fringe Festival. 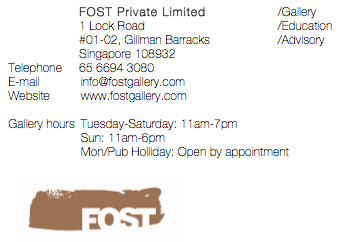 It returns for a special engagement at FOST Gallery, where several new images will be on show. 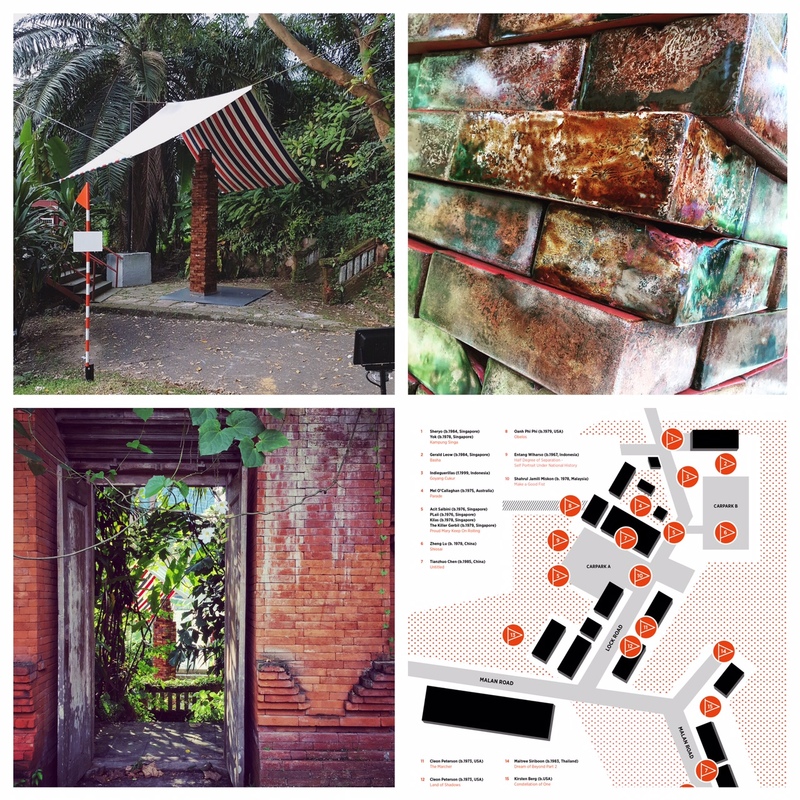 Featuring arresting installations, sculptures, and murals by renowned and emerging international and Singapore artists, LOCK ROUTE invites visitors to traverse the grounds of Gillman Barracks and experience a closer encounter with art in the open. 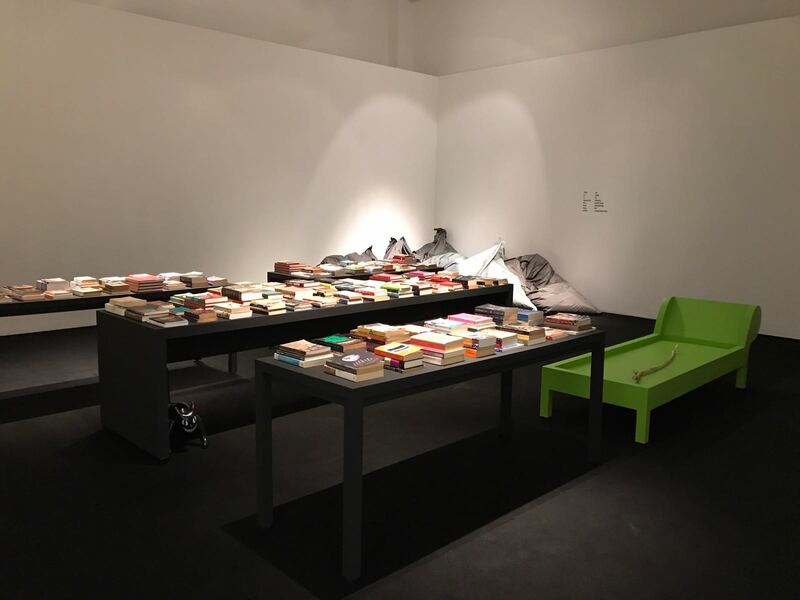 The Library of Unread Books develops from Chong’s deep-seated longing for books. It is a members-only reference library made up of donated books that are unread by their previous owners. By receiving and revealing that which people choose not to read, the Library is the result of a collective gesture and traces the perimeters of unwanted knowledge. Managed in collaboration with chief librarian Renée Staal, The Library of Unread Books 2 is now located at CCA's main exhibition building. 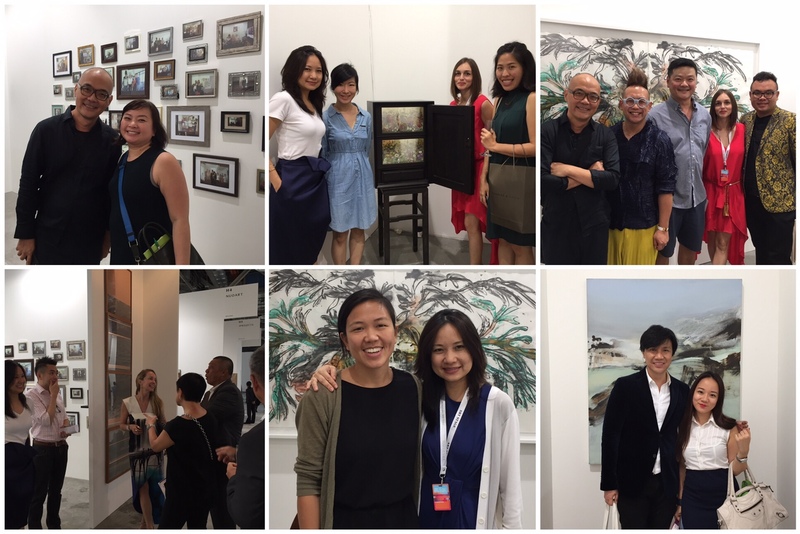 Thank you for visiting us at Art Stage Singapore 2017. We appreciate your continued support and we look forward to seeing you in the gallery soon!